Posted by reflecmedia in Samples. 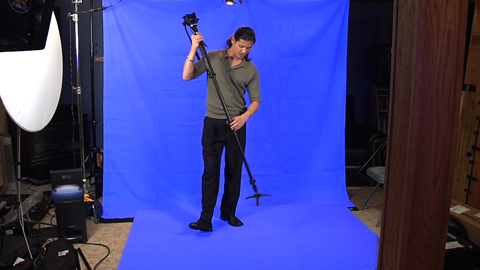 The 7×7 pop-up Chromaflex allows Bclip Productions to quickly set-up high quality green screen for their customers on the go. Posted by reflecmedia in Samples, Uncategorized. Want to see your Reflecmedia composites in real time? Be sure to check out this inexpensive, yet amazing chroma key software for just $100! Note, the shadows were added in post. A simple duplicate layer made black and white, inverted, flopped, blurred and lowered transparency. Attaching the Green Litering to a Sony FX1 HDV camcorder. Here you see a small litering being used with a 72mm sized lens. Note that 72mm is the maximum size for a small Litering, for cameras with a 72mm and larger filter thread, you’ll want a Medium Litering and adapter.